Well it’s been a grateful week in Carpinteria, my small home town on the California coast. My last post was on Tuesday, June 8, election day here in California. Posted as I sat waiting for the first returns, as I recall. And if you’ve been following this blog at all, you know that I was adamantly opposed to a certain Measure J. By this, an oil company from Denver tried to bypass the City government and get the voters to permit expanded oil exploration here. I mean right here, within the city limits, near my home and close to hundreds of other homes as well. 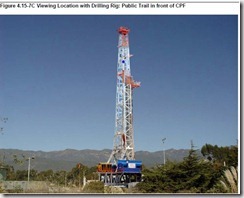 The centerpiece of the company’s plan – known as the Paredon Project – was to be a massive drilling rig, 140 to 175 feet tall. 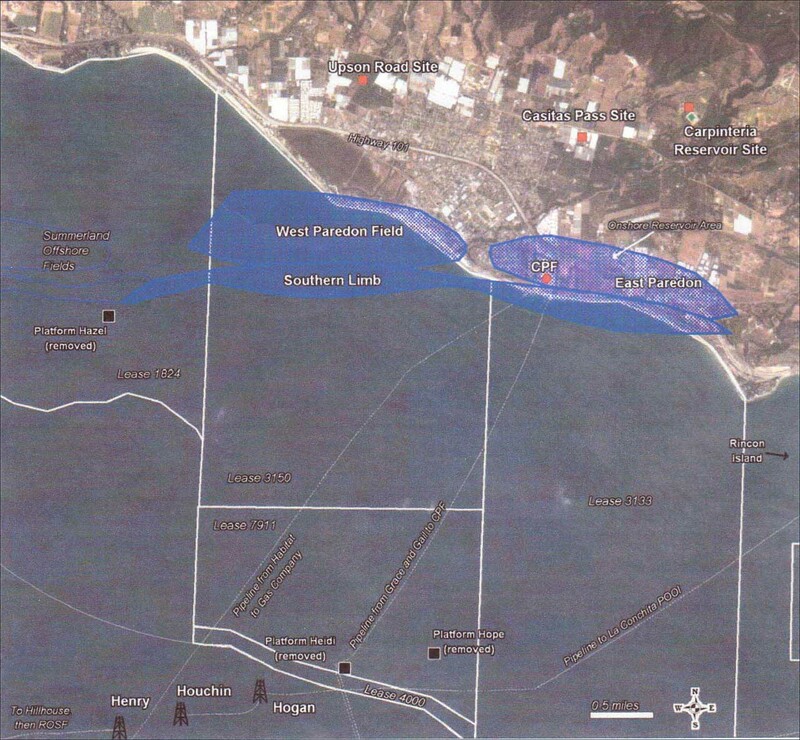 It would be on our ocean bluffs, adjacent to a residential tract, the bluffs nature preserve, and the seal rookery. We’re talking about a federally protected wildlife sanctuary, folks. Happily, Measure J went down in a thunderous landslide of Oh Hell No. 70% of the voters didn’t fall for it at all. And there was much rejoicing. There was a very large exhale of relief. It’s a long and tawdry story, most of which I would rather see you spared. Suffice to say the magnificent defeat of Measure J comes not just as a welcome result, but a rightful vindication. The vast majority of us stuck together. We remembered the natural beauty that makes Carpinteria the place where we want to live in the first place. Our little town is not for sale. We still have a stable local government. No shots were fired. Democracy abides. As for the folks who voted the other way … well, we still love you. Take a walk on the bluffs sometime. 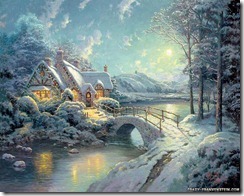 Remember that all who wander are not lost, and all that glitters is not gold. into the long animal grass. I know you cannot see these lights. and the creeks, trees and hills. An entire world of separation. when I left you and drove home. in El Estero were asleep. flashing signals from the cliffs. above the rocks and pounding surf. My heart is dizzy like that road tonight. then watch the sky until my breath returns. the sea in anguish as it rises and falls. The sea does not care about me. I love you but the sea does not care. so I will light a fire on the edge, and wait. California, a little dog, and a girl. was covered on Noozhawk.com and in the Santa Barbara Independent. I’ll be downtown with my sign this afternoon, and if you’re local I hope to see you. Since the election is tomorrow, there won’t be many more posts on this topic. I hope. I may take some photos today and post them, but I don’t have much more to say. Except Vote No on Measure J.
Don’t just agree No on Measure J, and forget to vote. Don’t let complacency creep in, because it’s not over ’til it’s over. And as obvious as it may seem that we shouldn’t vote our own City government out of power – and hand the whole process over to an oil company – if we won’t beat this power grab – we could have a mess to clean up. Yep, that was a seagull. The following letter was printed in yesterday’s Coastal View News, here in Carpinteria. Actually, 2 words were excised by the editor, which I have emphasized below. 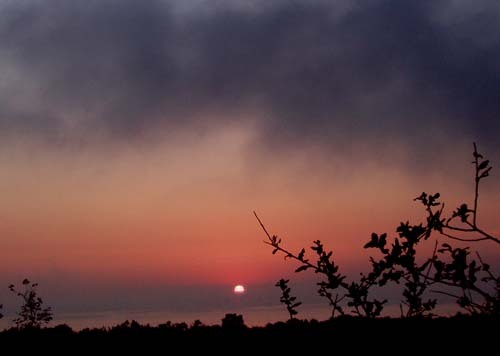 The future of beautiful Carpinteria should be up to us, the citizens of Carpinteria, not Venoco. A vote for Venoco’s Measure J means giving the oil company too much control of our future. We should not vote away our rights for local government and environmental protection. Venoco’s claim that onshore drilling is better than offshore is a clever deception. Venoco already operates offshore oil rigs off Carpinteria. Their plan is to drill onshore also, not instead. It is not true that the Paredon project would impact only the Concha Loma area. It would affect our entire community. Besides, is there any number of homes and families that we are willing to turn our backs on? No, in Carpinteria we are all neighbors and we care about each other. I am voting NO on Measure J, and I hope that you will join me. The following map shows the locations of the Paredon oil fields, the deposits in which Venoco Inc. hopes to drill, if Measure J passes on June 8. The source of this map is Section 5.0, Alternatives Analysis, in the Paredon Project EIR (Environmental Impact Report). Click the map to view a much larger version. Oil deposits are shown by the blue shapes. 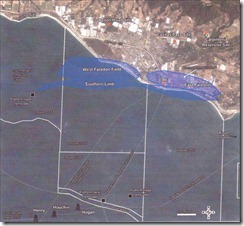 CPF stands for Carpinteria Processing Facility, and marks the location of Venoco’s property near Tarpits Park and the Seal Rookery, the Carpinteria Bluffs Nature Preserve. A disaster of Biblical proportions is unfolding there. And we don’t need one here. I’m going to Vote No on Measure J – on shore exploratory oil drilling in Carpinteria. 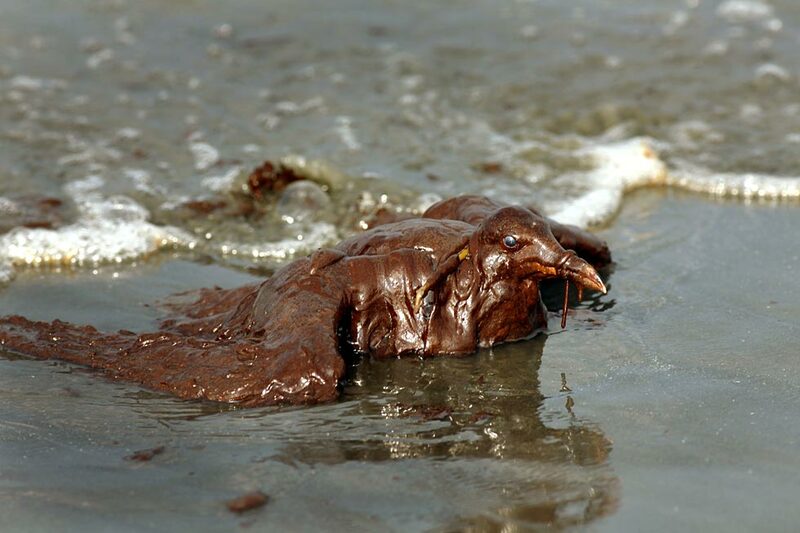 And if I get a chance to vote on offshore exploratory drilling near my home, I’ll vote no again.